This signature look lives at the intersection of lifestyle and fitness - just like you. Performance inspired materials and an on-trend jogger silhouette will take you from the gym to the street with ease. 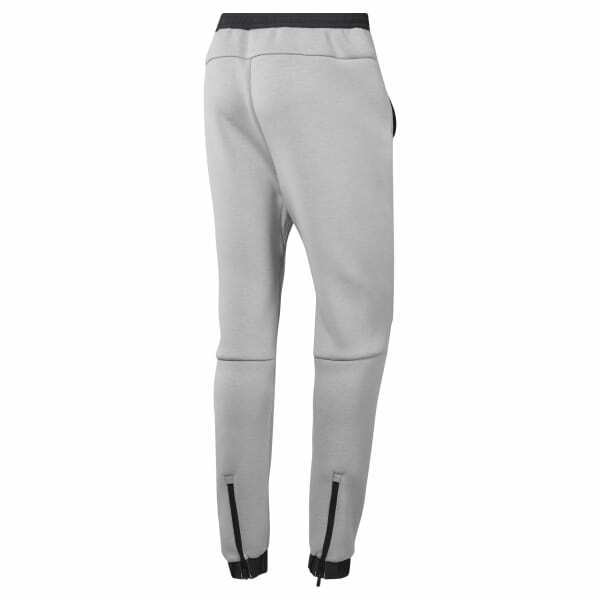 The ribbed waistband and cuffs keep these joggers in place and zips on the back of the leg mean you can get them on and off with ease. Two hand pockets on the side up the casual cool factor and an additional zipped pocket on the leg gives you even more storage.